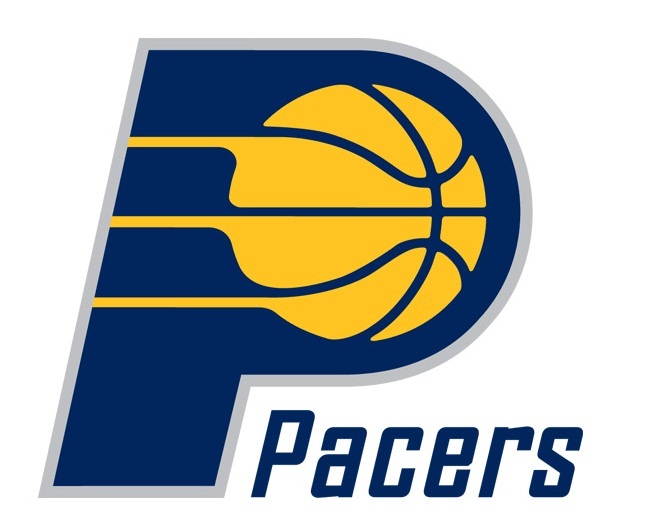 The Indiana Pacers began as a basketball team in the American Basketball Association (ABA) and not in the National Basketball Association (NBA). The Pacers were the most dominant team in the nine year history of the ABA. Out of the nine seasons the ABA existed, the Pacers went to the championship series five times. They won three of those five appearances which left them winning one third of the championships in ABA history. Despite their dominance, the Pacers began to struggle financially as a franchise. This situation did not improve when the ABA merged with the NBA. The teams who merged into the NBA had to pay the NBA a hefty price to join. Not only that, but the teams would not benefit from the television income for their first four years. The Pacers barely made it by financially. They were on the verge of having to sell the team to a new owner who would relocate them to a new city. Luckily, that did not happen and the Pacers survived the transition to the NBA. Survived is all they did as they entered the NBA in 1976. The Pacers struggled badly for over the first decade in the NBA. In their first 13 years in the league, they managed to finish with a winning record only three times. And in that same time frame, they only qualified for the playoffs twice. The team finally found success in the mid 90′s behind the play of Reggie Miller and coaching of Larry Brown. In 1994, the Pacers made their way back to the playoffs behind a franchise record 47 wins which was the most since they joined the NBA. The Pacers had only won one play off game in their NBA history to this point. The 1994 playoffs would change that. The Pacers swept the Orlando Magic in the first round to triple their playoff wins as well as win their first ever playoff series. The Pacers would not stop there though. The Pacers went on to upset the number 1 seed Atlanta Hawks for their second playoff series victory. The Pacers went on to the semifinals for the first time in the NBA. They would split the first four games largely behind the play of Reggie Miller. In game 5 of the series, the Pacers would storm back to win the game after being down by double digits in the game. Reggie Miller once again fueled the win with 25 points in the fourth quarter alone. The Knicks would go on to win the next two games and the series, but the Pacers had established themselves as a team to be taken seriously. The next season the Pacers followed up with another franchise record in wins with 52. The Pacers would make it back to the semifinals, this time against the Orlando Magic. The Magic got their revenge from being swept by the Pacers in the first round the previous year with a win in game 7 of the series. The Pacers fell one game short of the Finals. The Pacers suffered a setback the next two seasons before making a return to the top of the division in 1997. The Pacers would find themselves as a team consistently in the semifinals, but they could not break through into the Finals. The 1999-2000 season was a turn for the better. The Pacers had one of their best seasons since the ABA-NBA merger with a record of 56-26. That would not be enough for the Pacers after failing to make it to the Finals for so many years. This year was special because they finally managed that break through. The Pacers managed to win the Eastern Conference and play again the Los Angeles Lakers. The Lakers were led by Shaquille O’Neal like the Magic were a few years before when the Magic defeated the Pacers in the playoffs. Like the Shaq proved to be too much especially with the help of up and coming superstar Kobe Bryant. The Lakers won the series in 6 games. The Pacers retooled their roster and continued as one of the best teams in the East for a few more seasons. The team went down hill in 2003 when their game against the Detroit Pistons turned into a brawl. The Pacers players Ron Artest, Jermaine O’Neal, Stephen Jackson, and Anthony Johnson were suspended for multiple games. Artest received the longest ban in NBA history for an incident that took place on the court. He was suspended for the rest of the season and the playoffs which turned out to be 73 games. The Pacers continued to make the playoffs for the next three seasons despite not being a constant threat to win the East. After only making the playoffs twice in their first thirteen years, they had a stretch of making the playoffs fourteen times in fifteen years. Since 2006, the Pacers have struggled. They had not made the playoffs since then until last season. The Pacers snuck into the playoffs as the 8 seed. Most people expected the Bulls with the leagues’ best record to easily dispatch the Pacers. The Bulls would win the series 4-1, but the Pacers lost in heart breaking fashion. They played the Bulls very closely, and they lost by only an average of five points per game. The Pacers have built off of their success from last season’s playoff run. With their core of Danny Granger and Roy Hibbert, the Pacers hope to make themselves into a Eastern Conference contender like they were a decade ago.